Carusone, who used to be congresswoman Gabby Giffords’s chief of staff, says Rodham Rye is really a celebration of women in general, which is why they’re releasing it in March, during Women’s History Month. “It’s a tribute to women in history, and a tribute to women in our everyday lives,” she tells Washingtonian. And there are plenty of symbolic eye winks. It’s a blend of one- and three-and-a-half-year Tennessee ryes, teeing up this description on the bottle: “A selection of whiskies that are stronger together than apart.” Additionally, Carusone points out, rye is the “hardiest, sturdiest, most resilient” grain of them all, and it just so happens that they add spring water from a maple syrup farm in Clinton’s state of New York. They’ll also be donating 5 percent from the sale of every $79 bottle to EMILY’s List, a group that promotes women in politics. 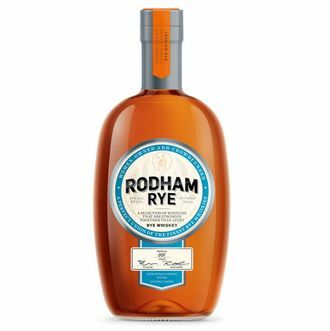 This post was updated to reflect that Rodham Rye contains spring water from a New York maple syrup farm, not the syrup itself.